UK Retro Gaming Blogs List. The Best UK Retro Gaming Blogs from thousands of UK Retro Gaming blogs on the web using search and social metrics. Subscribe to these websites because they are actively working to educate, inspire, and empower their readers with frequent updates and high-quality information. UK Retro Gaming newsletter is a comprehensive summary of the day's most important blog posts and news articles from the best UK Retro Gaming websites on the web, and delivered to your email inbox each morning. To subscribe, simply provide us with your email address. Bournemouth About Blog The only magazine in the UK that’s fully dedicated to the halcyon days of classic gaming. Keep up with informative and in-depth stories, access to legendary developers and its sheer enthusiasm for the games it covers. Facebook fans 11,526. Twitter followers 42,852. Croydon, England About Blog Welcome to Arcade Attack - a retrogaming blog, podcast and your one-stop shop for humorous retro reviews, interviews and features! Facebook fans 507. Twitter followers 10,638. Peterborough, England About Blog 16-bit Dad is the blog written by Gareth Torrance, covering Parenting, and Retro Gaming. With everything fromSNES and PS2 games to which Disney dress would be best for your daughter, there's something for everyone! Facebook fans 182. Twitter followers 8,073. Nottingham, England About Blog Your weekly dose of retro gaming and technology news and interviews with industry veterans. Facebook fans 2,497. Twitter followers 2,801. United Kingdom About Blog Whatever your genre of gaming you'll find something here from retro games to the current generation of gaming. I review video games, video game hardware, review the best and worst games and reach out to some of the games industry. Follow this blog for retro game reviews, Youtuber interviews, information and news from the retro gaming world. Facebook fans 2,807. Twitter followers 29,197. United Kingdom About Blog Find Retro Gaming News, Interviews, History, Features and more from UK's Number One Retro Games Destination! Facebook fans 38,546. Twitter followers 16,617. About Blog Fresh Retro Juice brings you nothing but amazing old skool finds from the 80s and 90s. Whether it’s retro gaming, childhood memories, toys, 80s adverts or Goonies inspired t-shirts, there’s a heavy dose of nostalgia ready to get all in your face! This blog provides information on Retro rambles from the 80s and 90s on everything from TV, movies, childhood memories and retro gaming. Facebook fans 9,520. Twitter followers n/a. United Kingdom About Blog Pi Retro Gaming is a retro gaming blog dedicated to the games of yesteryear. We provide a console that houses thousands of games from multiple platforms. Whether you loved the: Mega Drive, SNES, NES, Atari, Amiga or any other retro gaming console we have it including Arcade! Facebook fans 24,680. Twitter followers 2,412. UK About Blog A mish-mash of 70s/80s/90s retro gaming, TV, movies, toys, comics, gadgets, food, music and misc geekery. Facebook fans 1,349. Twitter followers 2,692. Facebook fans 37,299. Twitter followers 83,706. Colwyn Bay, North Wales About Blog Retro Garden is a site dedicated to finding and reviewing classic games, offering advice on Retro Gaming, and generally providing a warm and fluffy community for gamers to find out about games and old consoles. Facebook fans 74. Twitter followers 184. 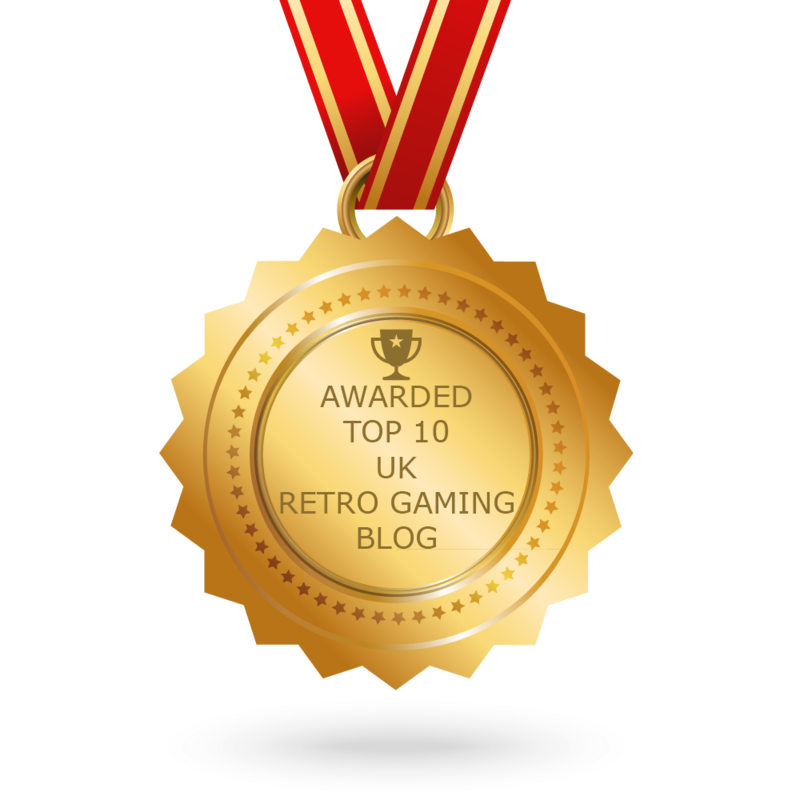 CONGRATULATIONS to every blogger that has made this Top UK Retro Gaming Blogs list! This is the most comprehensive list of best UK Retro Gaming blogs on the internet and I’m honoured to have you as part of this! I personally give you a high-five and want to thank you for your contribution to this world.